With my hair just starting to grow out, I like to do length checks even though I'm completely cutting back on heat until my next haircut so testing out the Yogi Mid Size Straighteners* was new for me in the retrospect I've never used a slim plated iron. 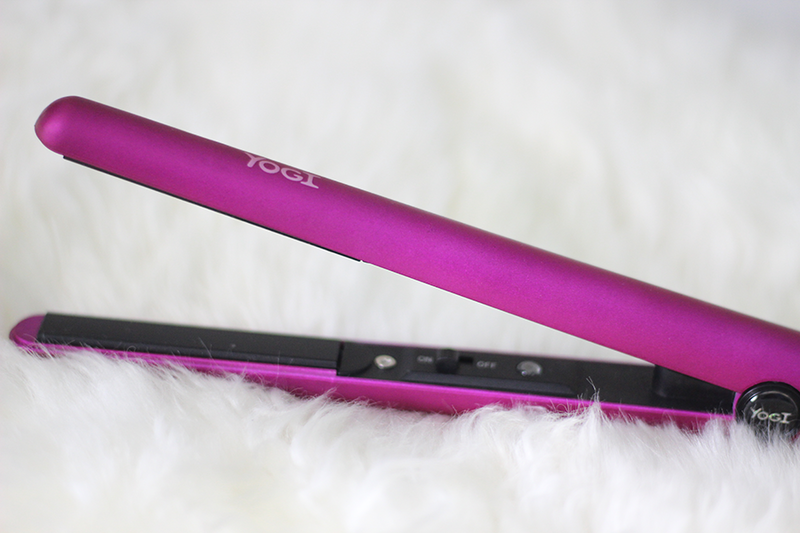 Designed to get close to the roots, I find having these a huge convenience, if like me you have baby hair using normal straighteners don't cut it. I've spent years during my straightening days being burnt within a inch of my skin. Deep purple in colour, vibrant and smooth to touch. DON'T be like me, use a heat mat if you have one cos I burnt my new table, it stained purple and yellow burn mark, spent that morning scrubbing. The only problem is if you look at the immediate image above it only has an on - off switch, there is no temperature dial. This will reach 200°C whether you like it or not, I prefer not to use this all over as I would like to keep the heat down, but once it's on and starts to heat up as I am only catching the shorter hairs it's perfect as it hopefully doesn't as much damage compared to if I used it all over. 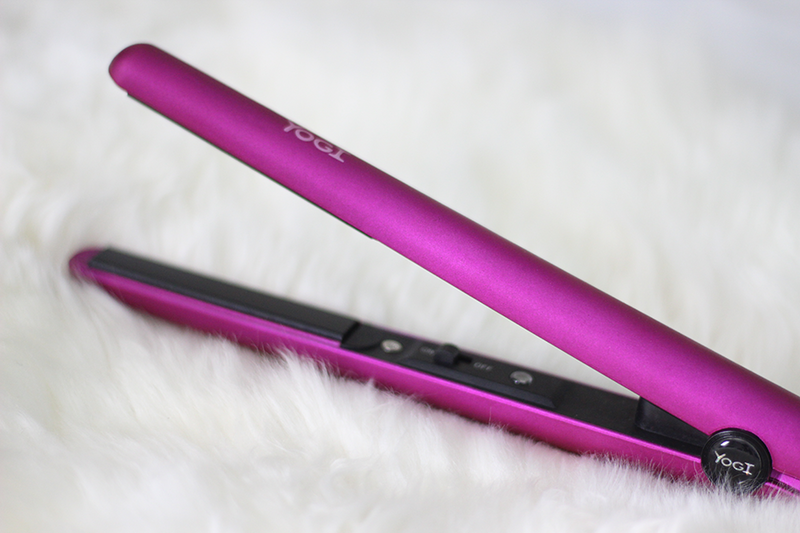 The tourmaline and ceramic plates, release negative ions that eliminate frizz, they've also made the iron longer than other mini irons on the market so they are not so fiddly to hold, they want the iron to fit comfortably into your hand so there's still a good grip it measures 22 cm long. 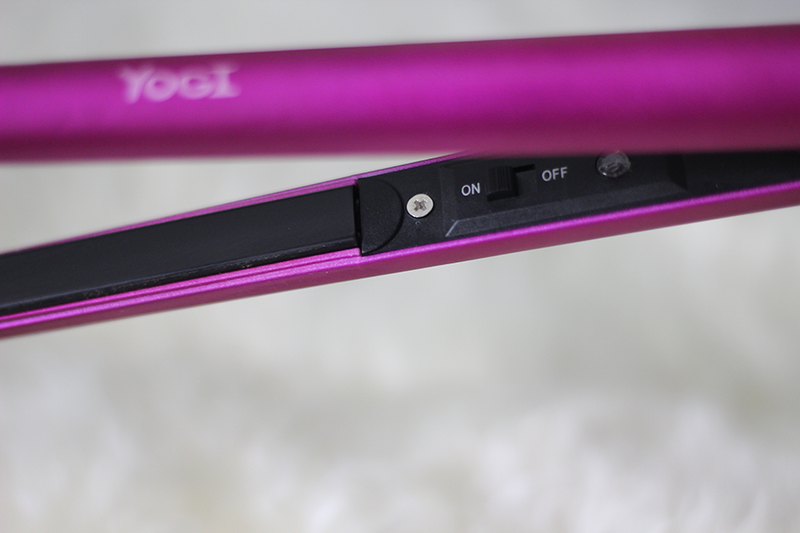 Besides not being able to control the temperature settings, which I do feel is a let down it's a nice handy straightener that cannot go wrong for those with short hair or do have quite a bit of baby hair. I actually have a short wig my mum gave me to do dress up in :) cos you know girl needs to play dress up at any stage of her life, I should definitely see how these style that.....Hmm an idea.